The island's national youth teams will be getting a chance to stretch their legs this week as both the Under-17 and Under-20 sides will be engaged in a series of international friendly matches. 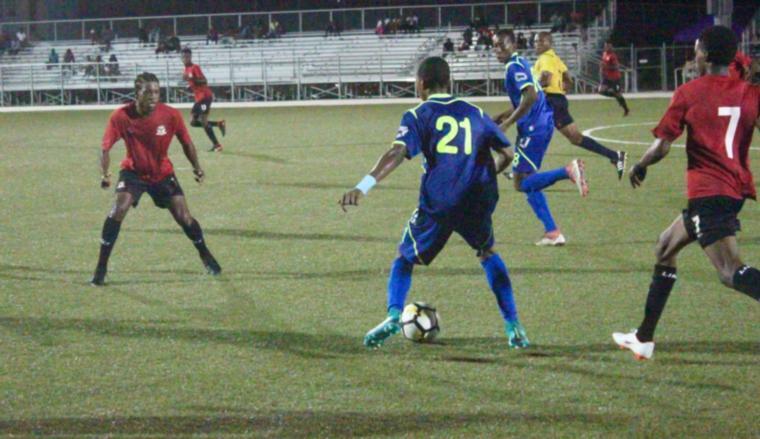 Getting started with the Under-20's taking on St. Kitts and Nevis last night in a match that ended in a 2-2 draw, games are scheduled for tonight and tomorrow with other nations in the region. In last night's game, the hosts had a sound two-goal cushion as Dishon Howell (11th) and Ray Francis (24th) had the ball in the nets before the end of the first half. However, the visitors bounced back and showed some creativity with two sensational goals in the 67th and 79th from Javern Matthew and Tiquanny Williams. Tonight, there are two games to be played as the Barbados Under-17s take on St. Kitts Under-20 at 5:00 PM. At 7:00, Barbados Under-20 have a date with Dominica's Under-20 team. Tomorrow, the action continues with Barbados Under-17 going up against the same Dominica side.